List of wineries in Napa Valley California. Spend a day in this beautiful valley and see the world famous Napa Valley wineries. The Napa valley, located a short drive north of San Francisco, is popular for wine tasting, wine tours and fine dining. We love vacations in Napa Valley, with its scenic vineyards nestled between the mountains. It gets more scenic as you travel north through the small towns of Yountville, Oakville, Rutherford, St. Helena up to Calistoga on the northern end. Spend at least a day or weekend here on your best California vacation. There are dozens of wonderful wineries, large and small, that are open to the public for wine tasting and tours. This makes a great weekend getaway. If you are in the San Diego area, and don't want to travel up to Napa valley for wine tasting, try wine tasting in Temecula. Following is a list of my favorite wineries in Napa Valley CA. Reservations are recommended if you want a tour and tasting, especially on weekends and holidays. 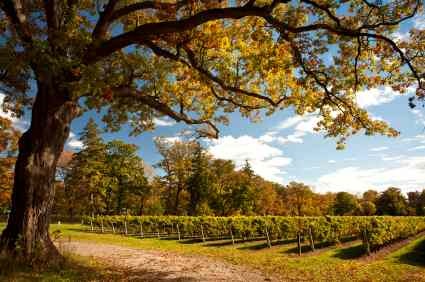 Tours are typically 30 minutes to 1 hour, and at some wineries are only offered 2-3 times per day. I suggest you plan your route and allow plenty of time to explore the winery, take some photos, and get to your next destination. You may only wish to visit 2 to 4 wineries in a day. Sterling Vineyards offers the only aerial tram in Napa Valley, and offers some spectacular views of the valley. V. Sattui offers a great deli and outdoor picnic area (no outside food allowed). It makes a great stop around lunch time. Beaulieu Vineyard 1960 St. Helena Highway, Rutherford, CA 94573 daily 10 AM – 5 PM $25 and up tasting fees. Tours available daily. Reservations recommended. Beringer Vineyards 2000 Main Street, St. Helena, California, 94574 daily 10 AM – 5 PM $25 and up tasting fees. Various tours daily. Reservation recommended. Inglenook (Rubicon Winery) 1991 St. Helena Highway, Rutherford, CA 94573 daily 11 AM – 4 PM $45 Wine tasting and tours. Reservation recommended. Joseph Phelps Vineyards 200 Taplin Rd, St. Helena, CA 94574 daily by appointment only $75 wine tasting. Wine experiences by reservation. Louis M. Martini Winery 254 Saint Helena Highway, St. Helena, CA 94574 daily 10 AM – 6 PM $25 - $50 wine tasting. Tours by reservation. Pine Ridge Winery 5901 Silverado Trail, Napa CA 94558 daily 10:30 AM – 4:30 PM $45 wine tasting. Tours by reservation. Suistainable farming. Robert Mondavi Winery 7801 St. Helena Highway Oakville, CA 94562 daily 10 AM – 5 PM $5 - $30 wine tasting. Tours by reservation. Silverado Vineyards 6121 Silverado Trail, Napa, CA 94558 daily 10 AM – 5 PM $50 wine tasting. Tours by reservation. Sterling Vineyards 1111 Dunaweal Lane, Calistoga, CA 94515 M_F 10:30 AM – 4:30 PM, weekends 10 AM – 5 PM $29 Aeriel tram ride, self-guided tour and tasting is extra. 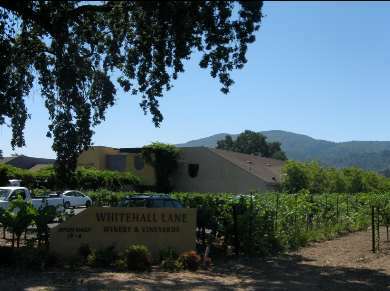 Whitehall Winery 1563 St Helena Hwy (Highway 29), St Helena, CA 94574 daily 10 AM – 6 PM $25 - $45 wine tasting. Winery tours. Reservation suggested.